The summer that never was is really over! While the world enjoyed basking under the glorious sun and BBQs, we in Britain looked enviously at them but still hopeful for few days of sun and fun! We whined about the gloomy weather and dark clouds, grumbled about non-stop drizzles and cold nights, and then rejoiced when a mother nature showed little mercy with few days of clear blue skies and summer like weather! But it was no enough… It is never enough! Now that the summer is long gone and autumn has spread its delightful colours, we are busy again enjoying the colour bursts in shades of yellows, oranges and reds! The trees sway to the cold winds and the gold, coral and ruby red leaves flutter around us, laying beautiful and colourful carpet on the path fit for the royals. We tread carefully on these leaves on our evening walks, taking small breaks in between to pick them up and admire their beauty. The colours feel more vibrant against the stark greys of the sky and dark grey of cobblestoned path. As the days become shorter and nights longer, we are up and eager to welcome the sun who paints the sky from orange to scarlet red. Come evening, we are ready to bid him a farewell behind the dark clouds only to welcome him again the next morning with anticipation. The whole world seems to be in a hurry, trying to catch few more days of sun and little warmth. The bees are buzzing with more energy, sucking the nectars from last few blooms of summer. The birds are flying high in the sky, in groups, singing the songs of season of bounty! The little ants seem to be in a great hurry, collecting the food for the cold winter days. And we? Well, we are busy trying to make happy memories of last few days of sunshine and warmth! Soon we will have to get our winter cloths from the storage… Long jackets and thick coats… Fleece jumpers with woolly hats… Leather gloves and knee high boots…Big brollies and warm scarves… We will be ready to face another winter… We will get ready to welcome the cold days and freezing nights! With the change in season, the food that graces our table has also changed. The air is heavy with the aroma of cinnamon and nutmeg. The warmth of aromatic spices spread their warmth in our soul! While the pot of soup is simmering on the stove, the oven is hot with baking breads and roasting the vegetables. Like the vibrant colours outside our window, the food on our plates also has the warm hue. As much as we love the soups and breads, we crave for the food from our roots if we skip them for 2-3 days in a row! From chilled Raitas, healing Tambuli and mild Pachadis of summer, we have been treating ourselves to some spicy Indian foods these days that keeps both our body and heart warm. 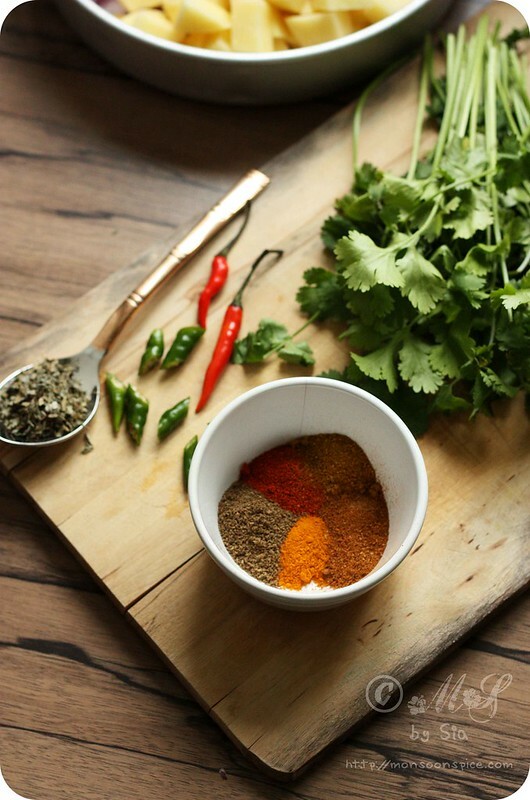 I have been liberal with the use of spices these days keeping the recipe simple but adding much complex flavours. 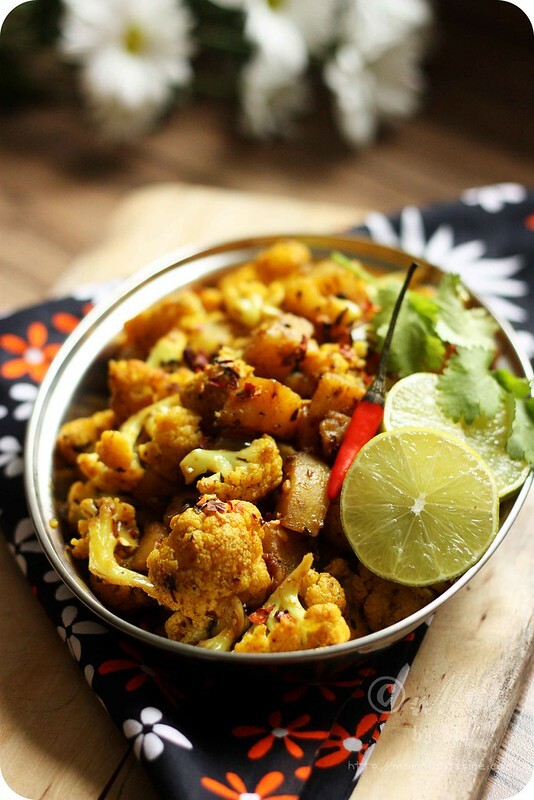 One such simple recipe with complex flavour combination is the popular Punjabi recipe of Aloo Gobi. 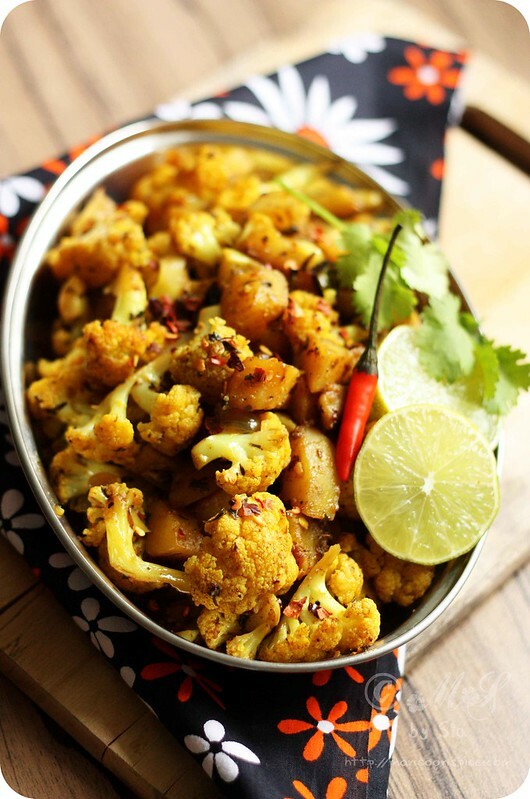 Aloo Gobi or Alu Gobi is a simple dry curry of potatoes and cauliflowers sautéed with a combination of aromatic spices. 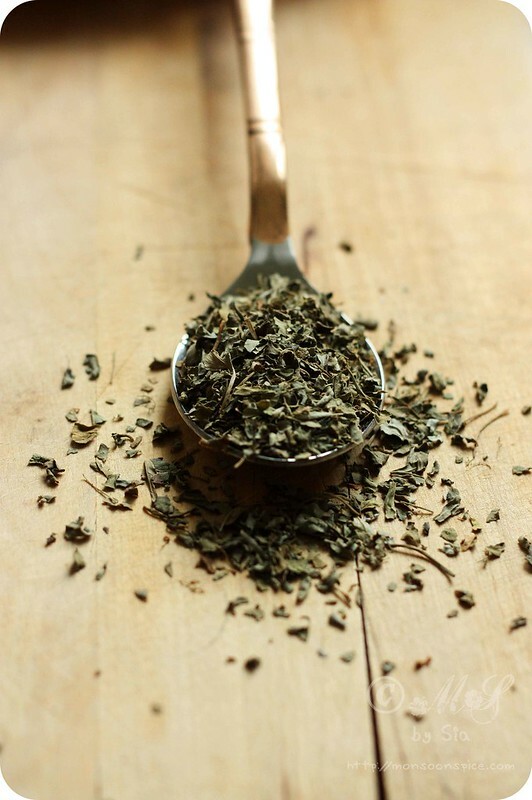 Some use as little as 2-3 spice mixes and some uses as many as 7-10 spice combinations. My recipe of Aloo Gobi falls some where in the middle. I am bit heavy handed when it comes to the use of ground spices. The most common spice powders that I always have, like 24/7, in my kitchen pantry are turmeric powder, coriander powder, cumin powder, red chilli powder, and the garam masala. Either you can prepare these spices at home or buy from any good Indian grocery shop. These days almost all top supermarkets in UK sell these Indian spices in their speciality aisle. Every cook in India has their own version of Aloo Gobi and here is my take on this classic recipe. Other than the above mentioned spice powders, I also love Kitchen king masala, amchur powder (dry mango powder), hing (asafoetida) and the kasuri methi (dried fenugreek leaves). You can find them in most of well stocked Indian grocery stores and grab a pack or two when you make a trip to Indian stores next time. Why? Because they add the much talked ‘oomph’ factor to any Indian curries they touch, both in terms of flavour and aroma! 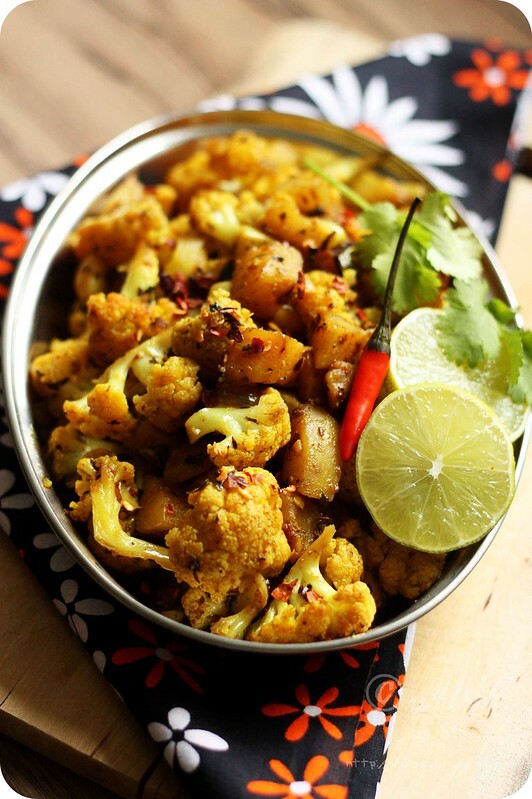 The best example of use of these special spice mixes is shown in this recipe of Aloo Gobi/Alu Gobi. Simple, quick to make and absolutely delightful! I love it so much that I end up eating them on their own for most of the time. So here is my recipe of the classic Punjabi Aloo Gobi/Alu Gobi recipe and with it I bid good bye to summer and welcome autumn. Heat oil in a pan and add cumin seeds and hing. When cumin seeds crackle and change colour, about 30 seconds, add finely chopped onions. Sauté the onions till they turn translucent and then add ginger-garlic paste, green chillies and crushed kasuri methi leaves. Give it a good stir till the raw smell of ginger-garlic paste disappears, about 1 minute. Next add all the spice powders and give it a good stir for 30 seconds. Mix in cubed potatoes and give them a good stir for 3-4 minutes. Add cauliflower florets and salt to taste and stir them for 2-3 minutes, making sure every individual cauliflower florets are coated with spice mix. Cover the lid and let it cook for 7-10 minutes, stirring in between to make sure that vegetables don’t stick the bottom of the pan. By now the vegetables gets cooked through but still retain their shape. If not, cover and let them cook for another 3-5 minutes. Switch off the gas and add freshly squeezed lemon/lime juice to taste. Garnish with finely chopped coriander leaves and mix them well before serving this delicious Aloo Gobi with any Indian flat breads (Whole Wheat Naan or Butter Naan or with any stuffed parathas) or plain/flavoured Basmati rice. You can also serve this Aloo Gobi/Alu Gobi in a wrap topped with few salad leaves and sour cream or Greek yogurt! Heaven! 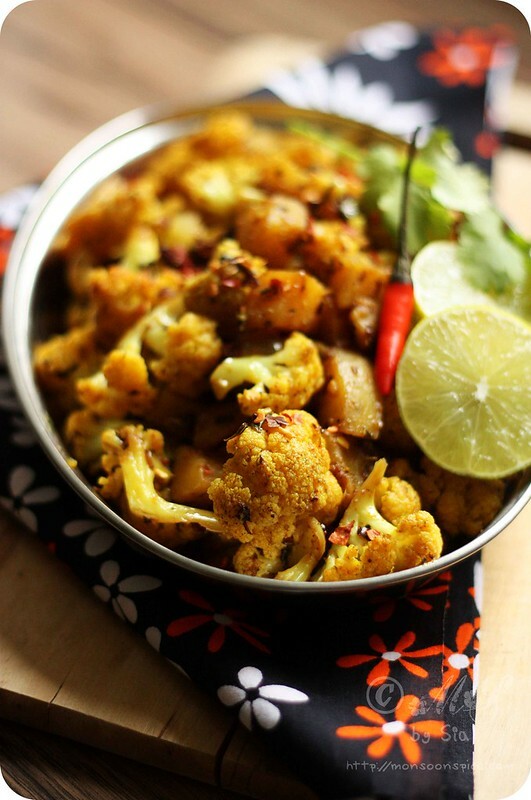 Aloo Gobi/Alu Gobi sprinkled with chilli flakes and love! 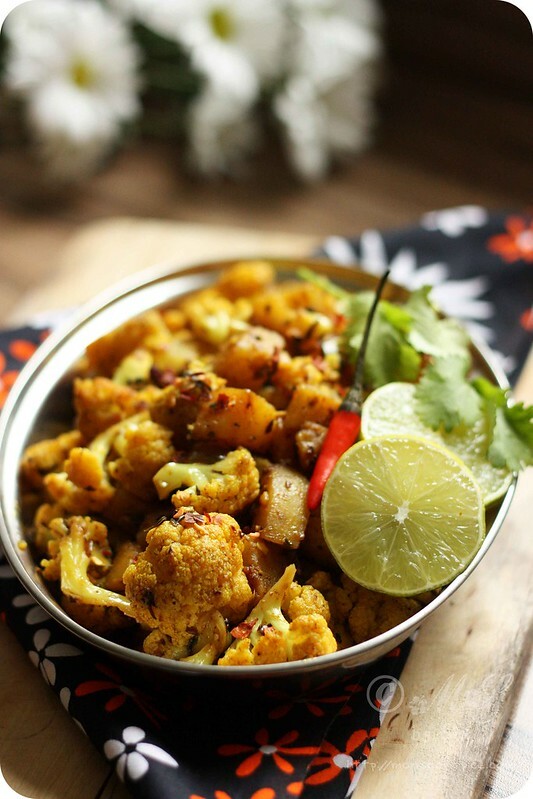 This Aloo Gobi is a versatile dish and many times I end up using them in wraps, sandwiches and even as pizza toppings to give Indian twist to Italian cuisine! I love the colors in these photos, warm, summery and vibrant! From past few days all I can think of is a spicy potato curry. Now seeing this has made my cravings worse! Looks so, so good! 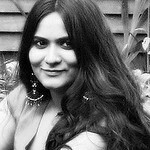 I love aloo gobhi and love making stuffed toasted sandwich with it! dunking it in maggi hot n sweet , yum! hot, furnac-y, migraine inducing heat... ugh! I love cooking comforting food during the cold season. This dish is wonderful and mouthwatering! 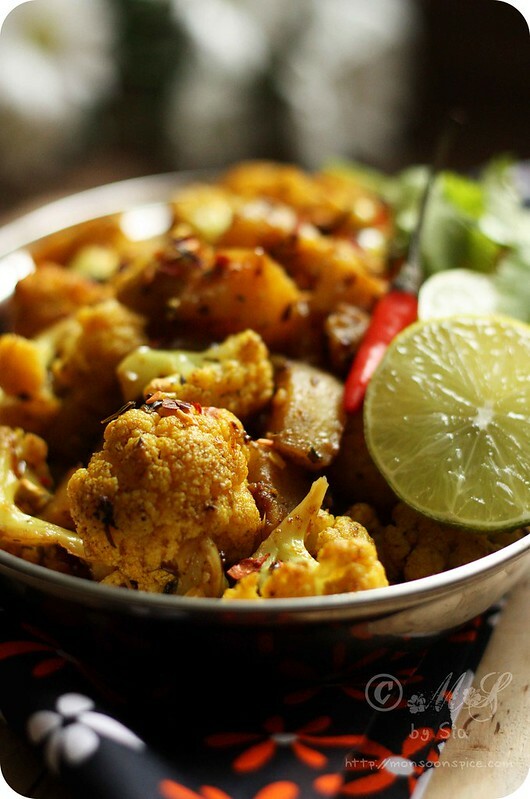 yummmmmmmmy aloo gobi sabzi and as it is I am a very ardent fan of cauliflower which I cook quite often. Yes Yes Yes! I could eat dry aloo gobi everyday. Love that you included a freshly cut lime in the last pic. Makes my mouth salivate with the thought of eating that dish. 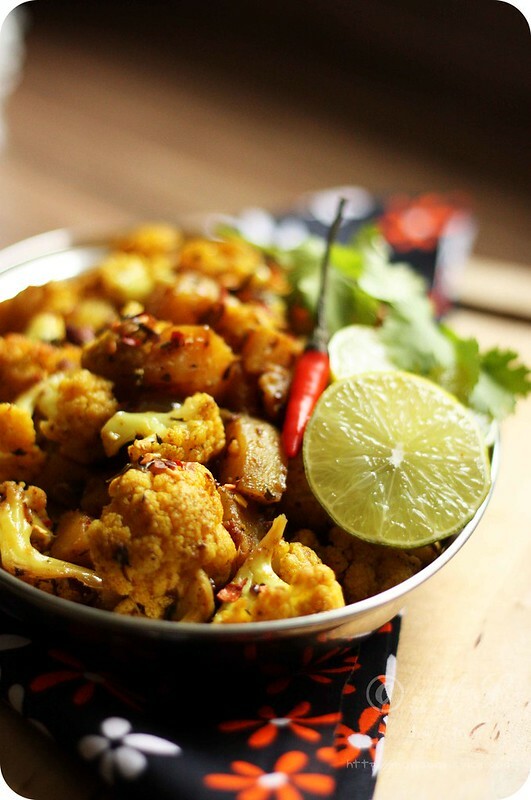 Sia, aloo gobi looks perfect...just feel like grabbing as they look really tempting..
@Nagalakshmi V, since i have changed a lot in the template code, it is not allowing me to attach the pinterest button :( I am planiing to work on the new template and see if I can add the pinnit buttons. Beautiful pictures, lovely looking recipe, want to tryn this soon. This recipe is wonderful and my son calls it "all-around GOOD." I had never used hung or the fresh coriander and lime - these things give it a special wakeup. Wow! The pics are very tasty, a treat to eyes. This one is a ritual every week in my kitchen. I usually skip onions and use amchoor instead of lemons. Will use your recipe this time. Tried your recipe it was lovely.Looking forward to Aloo Gobi,fresh phulkas and a small mirch -a convenient picnic snack-a taste of rural India! tried and it was good. one question do you need to add water and how much quantity. This recipe worked out really well for me - it's a keeper, thanks. The methi really adds something extra. Hi, does this recipe call for blanching the cauliflower before putting in spice mix? And can I also use broccoli. Sia, thank you for your amazing website and food photography. I've been wondering what kind of cookware you use for this recipe in specific and what you recommend in general? I'm asking because the ingredients stick to the bottom of my pan when I try this recipe. I don't want anti-stick pans because they seem to be less durable, so I use an enameled Dutch oven for this. Unfortunately, even with an adequate layer of oil covering the pan's bottom, onions and the ginger-garlic paste tend to stick to the bottom, as do potatoes. Of course it gets worse as more oil is absorbed by the ingredients. Adding a shallow layer of water to the pan's bottom prevents sticking, but diminishes the taste of the dish. Do you use a non-stick pan for this recipe? Would a Dutch oven without an enamel layer do a better job? Thank you very much in advance for any advice you could give me. 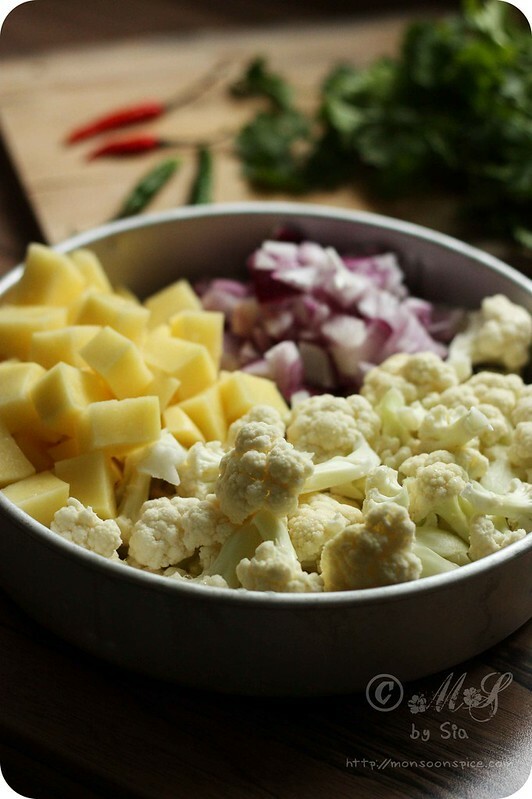 @Ankit Sood, no need to blanch the cauliflowers. and yes, you can use broccoli but the cooking time will vary. @Alexander van Loon, thank you! I use indo aluminium kadai/wok as I very rarely use non-stick pans for cooking. I brought this indo aluminium kadai (just google search the image) from India as it is heavily used for stir fries and dry subjis like Aloo-Gobi in y mother's kitchen even today. Unfortunately this is one of those recipes where the masala do stick to the bottom of the pan as we don't use any water while cooking. The trick is to stir fry continuously once you add ginger-garlic paste and gently scrape out any spice that sticks to the bottom of the pan using wooden spoon as it will not scratch and leave mark in the pans. I simply rinse the pan (at room temperature) once the food is transferred, and add hot soap water and leave it for 15-20 minutes before washing. I suggest you use Dutch oven without enamel coating. Wow, this recipe sounds and looks just wonderful! 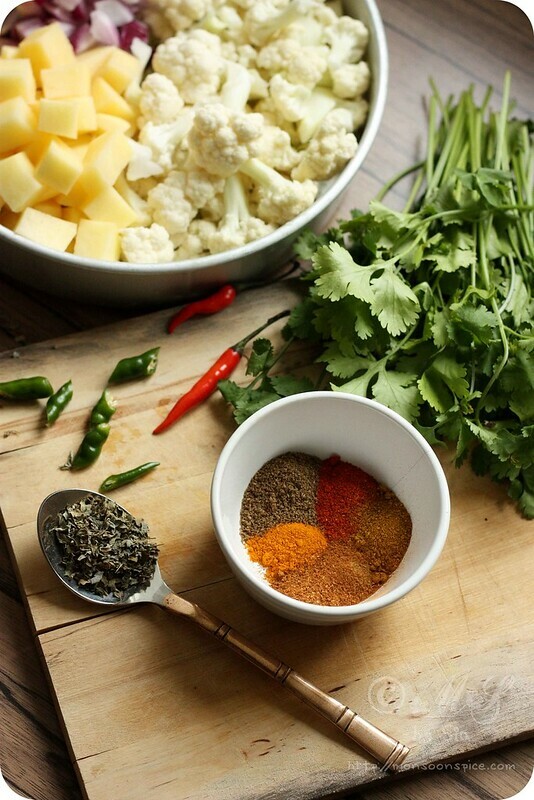 I was looking for an aloo gobi recipe as I am making it tomorrow night. I will definitely be using this! Thank you for posting such a colorful, enticing recipe! Scotland ~ Through My Eyes!